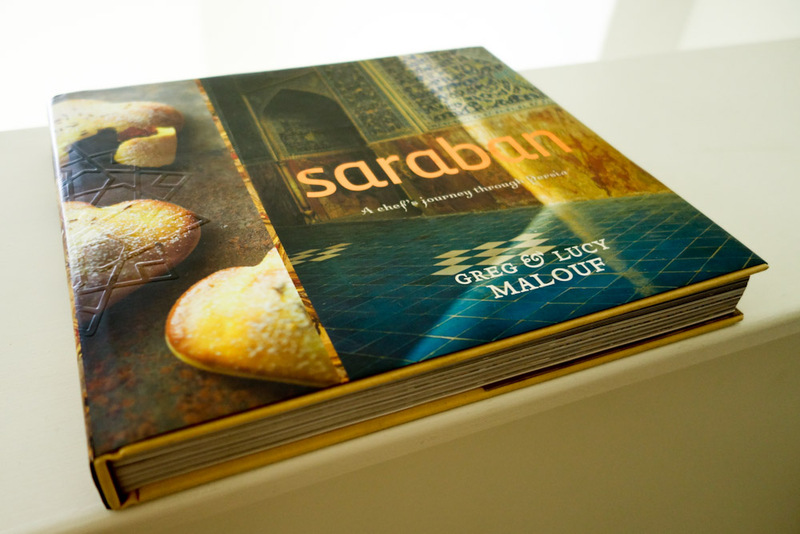 Saraban cookbook by Greg and Lucy Malouf. I have finally stopped procrastinating, and here is my final cookbook review for the year! Following my review a couple months back of Turkish cookbook Turquoise, I'm back with a review of Persian cookbook Saraban from the same authors, Greg and Lucy Malouf. 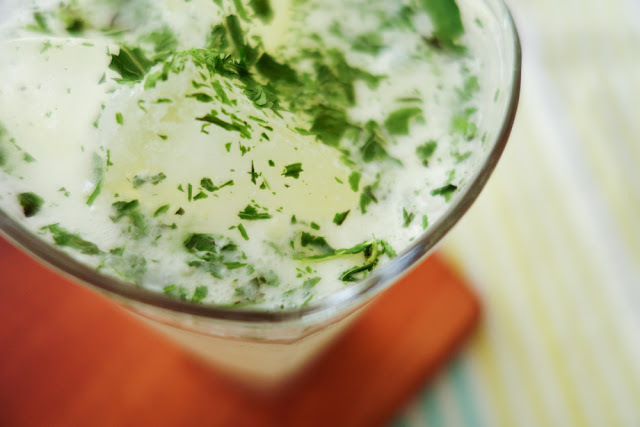 As we transit from spring to summer, the simple recipe for this refreshing beverage, dugh, caught my eye. This is a savoury yoghurt drink - called dugh in Iran, but known by other names in different countries - I've had it at a Turkish eatery, where it was called ayran, so I already knew I would like it. Dugh is basically just yoghurt diluted with water and combined with salt - the one I had at the Turkish place used still water, but for this particular recipe, it called for carbonated water, which intrigued me. It also included lemon or lime juice, as well as dried mint - I processed my own by microwaving fresh mint until the leaves are crisp and dry and easily crumbled. The trick to making a good dugh is to not be too shy with the salt. I don't advise going crazy with it, but you definitely want the brightness of the salt coming through to complement the sourness of the yoghurt. Done right, it's really uplifting on a hot day! Dugh, a sparkling salted, minted yoghurt drink - also known as ayran, lassi, or tan in various regions. The other recipe I tried from Saraban was the one for kuku-ye sibzamini - Persian potato cakes spiced with cumin, turmeric and black pepper, and studded with garlic chives and coriander leaves. I have to confess that I veered away from the ingredients quite a bit in this one, due to a desire to work with just what I already have - so I used cumin seeds instead of ground cumin, substituted spring onions for garlic chives, and completely omitted the self-raising flour. I have to say, too, the Saraban recipe has left me quite curious about the taste of an authentic kuku-ye sibzamini - and whether the dominant element should be the potatoes or the eggs. For example, it calls for two desiree potatoes, but does not give any indication of the approximate size or weight of the potatoes. One would presumably then go for medium-sized, but even that can be subjective, so the results could turn out differently, depending on your choice of potatoes! Also, "kuku" is often described to be a frittata-like concoction, and therefore more of an egg dish - but the English title of "potato patties" muddies the waters yet again. Or in other words, I think too much. Fortunately, despite my delinquent detours, the ambiguity of the recipe, and the perplexing internal debate, my batter held together - just, and the results were delicious. 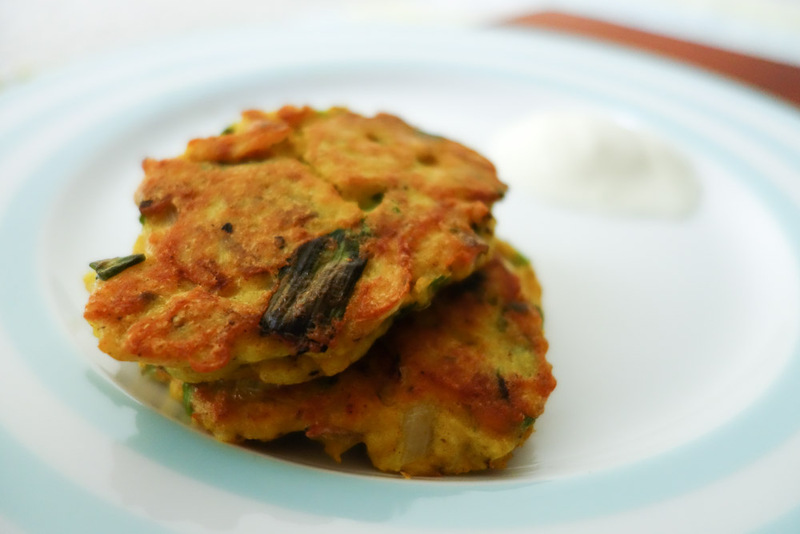 Kuku-ye sibzamini - Persian potato patties with herbs and spices, served with a dollop of yoghurt. Like Turquoise, Saraban is a visually stunning cookbook - I dare say it is even more exquisite, with its sumptuous colours and intricate cutout details - and certainly does a great job of showcasing Iran as a luscious, compelling travel destination. I couldn't help but marvel at interesting fare such as the koofteh tabrizi (giant meatballs stuffed with fruit and nuts), though I don't think I have the fortitude to attempt that dish. The recipe for ash-e sak (spinach soup with little meatballs), on the other hand, looks a lot less daunting, and I might quite possibly try it someday. Another one that could be up my alley is the mahi-e mast-gerdu - yoghurt-baked fish with walnut-herb crumbs.